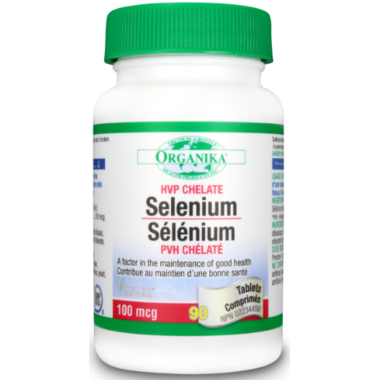 Organika Selenium (Chelated) helps to reduce the onset and frequency of Selenium deficiency, which can cause thyroid deficiencies such as goiter. This is a factor in the maintenance of good health; and healthy body cells and tissues. Directions: Take 1 tablet 2 times per day with a glass of water. Non-Medicinal Ingredients: Calcium Phosphate Dibasic, Microcrystalline Cellulose, Stearic Acid, Magnesium Stearate, Croscarmellose Sodium.